Asiad Steels is one of the leading suppliers and manufacturers of Hastelloy B3 Fasteners, which has outstanding resistance to hydrochloric acid at all concentrations and temperatures. Furthermore, it has greatly improved structural stability compared with previous B-type alloys, leading to fewer concerns during welding, fabrication, and service. Hastelloy B-3 is a nickel-molybdenum alloy with excellent resistance to pitting, corrosion, and stress-corrosion cracking plus, thermal stability superior to that of alloy B-2. Hastelloy UNS N10675 Fasteners is applicable in aircraft, furnace and chemical process components, honeycombs and gas turbine combustion section components. It also withstands sulphuric, acetic, formic and phosphoric acids and other non-oxidizing media. B-3 Alloy Fasteners has a special chemistry designed to achieve a level of thermal stability greatly superior to that of its predecessors, e.g. HASTELLOY B-2 alloy. Hastelloy B3 has been primarily used for their resistance to corrosion in non-oxidizing environments such as HCl. HASTELLOY B-3 Din 2.4617 Fasteners is an additional member of the Ni-Mo-family of alloys with a special chemistry designed. 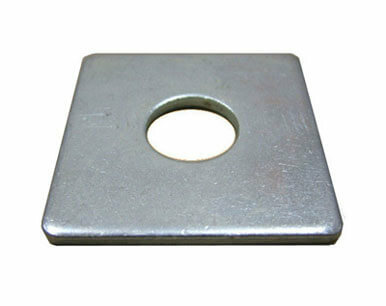 It is also used in chemical processing, vacuum furnaces, and mechanical components. This is with respect to the condensed propensity to precipitate lethal intermetallic stages in B-3 alloy, in that way, meeting the expense of it better ductility than Alloy B-2 throughout and following a number of thermal cycling forms. B-3 alloy can be welded by all common welding techniques, although oxyacetylene and submerged arc welding processes are not recommended when the fabricated item is to be used in corrosive service. Special precautions should be taken to avoid excessive heat input. Buy Alloy B3 Fastenersat reasonable rates from us. 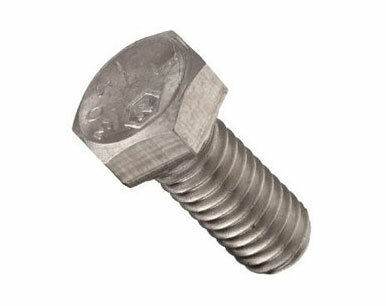 We are Exporter of Hastelloy Alloy B3 Fasteners in Worldwide Such as India, Angola, Libya, Serbia, Chile, Hong Kong, Trinidad & Tobago,Tunisia, Yemen, Pakistan, Thailand, United States, Mexico, France, Ecuador, Austria, Argentina, Nigeria, Kenya, Gabon, Mexico, Vietnam, Iran, South Africa, Poland, Brazil, Switzerland, Kazakhstan, Turkey, Nigeria, Egypt, United Kingdom, Canada, Gambia, Ireland, Lebanon, Colombia, Malaysia, Jordan, Australia, Russia, Qatar, Puerto Rico, Netherlands, Romania, Poland, Hungary, Greece, Nepal, Indonesia, Lithuania, Bahrain, Croatia, Sri Lanka, Chile, Portugal, Denmark, Saudi Arabia, Sweden, Bolivia, Kuwait, Morocco, New Zealand, Ukraine, Bulgaria, Spain, United Arab Emirates, Afghanistan, Peru, Venezuela, Czech Republic, Italy, India, Norway, Japan, Azerbaijan, Algeria, Namibia, Bhutan, Iraq, Belgium, Zimbabwe, South Korea, Israel, Tibet, Germany, Finland, Bangladesh, Mongolia, Costa Rica, Philippines, Belarus, Macau, China, Ghana, Iran, Oman, Estonia, Slovakia, Taiwan, Singapore. 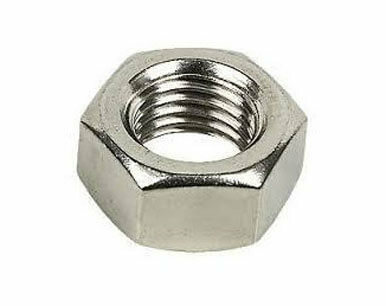 We are Suppliers of Hastelloy B3 Fasteners in India Such as Mumbai, Madrid, Petaling Jaya, Al Jubail, Nashik, Bengaluru, Singapore, Courbevoie, Sydney, Moscow, Bhopal, Milan, New Delhi, Chandigarh, Bogota, Gurgaon, Rio de Janeiro, Howrah, Kuwait City, Port-of-Spain, Mumbai, Montreal, Houston, Manama, Vadodara, Dallas, Secunderabad, Thane, Toronto, Lagos, Jamshedpur, Visakhapatnam, Cairo, Thiruvananthapuram, Nagpur, Ahmedabad, Gimhae-si, Abu Dhabi, Noida, Chennai, Bangkok, Navi Mumbai, Caracas, Dammam, Brisbane, Santiago, Algiers, Riyadh, Kolkata, Granada, Perth, Melbourne, Hyderabad, Baroda, Indore, Mexico City, Pune, Atyrau, Pimpri-Chinchwad, Busan, Ahvaz, Jaipur, Calgary, New York, Surat, Tehran, Colombo, Ho Chi Minh City, Sharjah, Edmonton, Kuala Lumpur, Al Khobar, Geoje-si, Jakarta, Karachi, Aberdeen, Haryana, Vung Tau, Coimbatore, Rajkot, Ulsan, Hanoi, Ludhiana, Dubai, La Victoria, Muscat, Doha, Ernakulam, Los Angeles, Lahore, London, Jeddah, Istanbul, Chiyoda, Seoul, Hong Kong, Kanpur, Ranchi, Ankara, Faridabad.